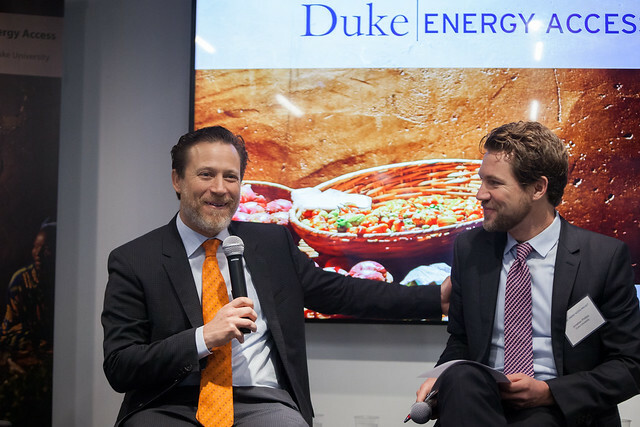 Some of the leading lights from the energy access community convened in Washington, D.C., February 23 for the launch of Duke University’s Energy Access Project. 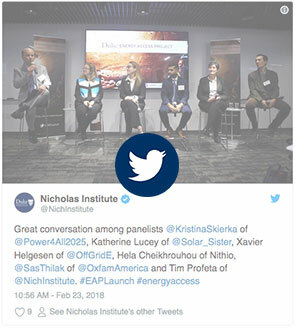 As the new project assembles its agenda, leaders from business, government, and civil society weighed in on the market and policy challenges facing the billions of people lacking access to modern energy. Here’s some of what we heard. The off-grid space has been burned by many well-intended market-distorting subsidies so a healthy dose of skepticism is warranted. But there’s not a scaled power delivery system on Earth that hasn’t received subsidies. The further up the energy ladder we go, the more subsidies are needed for investment. Today, subsidies in access-challenged markets are focused on relatively expensive grid connections in urban and peri-urban areas for relatively wealthy consumers. The rural poor largely rely on market solutions, many of which face stiff border tariffs. It’s incumbent on the access community to be engaged in developing needed subsidy structures, not waiting for their imposition. Many governments are taking off-grid solutions seriously. They want to structure support programs for last-mile electrification programs, including off-grid programs. The World Bank and development partners are on board. Interventions should be as upstream as possible. The lowest-hanging fruit are import tariff and VAT exemptions, which can drive down product costs by 40 percent or more in certain markets. Results-based financing for home solar systems is a favored approach. It incentivizes off-grid providers to move into new regions or population segments and to receive payments from a third party for new connections once they can demonstrate they’re serving target populations. Subsidies do raise questions. What is the right way to subsidize? What are the appropriate structures, and how should subsidies be deployed to maximize access and address concerns around equity? Are there creative institutional structures that could more fully harness the private sector while helping financially troubled national utility companies, for example, by breaking off the most rural, unprofitable markets from utility company jurisdiction and administering them through a subsidized platform? Just kidding. Every year, 100 million people gain access to electricity for the first time, and the vast majority are getting it through grid connections. However, throughout most of Sub-Saharan Africa, implementation of structural reforms needed to ensure the financial viability of government-owned utilities has been slow. Estimated deficits among African utilities top $20 billion annually. The pace of grid build-out combined with unsustainable sovereign debt loads makes many national utility companies weak backbones on which to construct the energy futures of more than 1 billion Africans. From governments, to development partners, to multinational utility companies, there’s wide and growing recognition that off-grid solutions are a viable and necessary option to achieve United Nations Sustainable Development Goal 7 (ensure access to affordable, reliable, sustainable, and modern energy for all). Really, on grid vs. off-grid is a false choice. But there does need to be future planning to establish and integrate forward-looking policies that provide each grid pathway with the confidence needed to proceed aggressively. First-generation microgrids have been experiments in right-sizing systems, understanding costs, standardizing equipment, learning about customers, and socializing policy needs with governments. As we move into “Gen 2” microgrids, developers are taking a systems approach to understanding communities. They’re looking at strategic ways to build productive use and underpin demand. Governments are engaging in earnest to provide regulatory certainty. Yet the current reality is that microgrids are not commercial, they remain high-risk, and they’re not ready for project finance, at least not at rates attractive for private investors. Public-private partnership will be required over the next several years and larger tranches of concessional capital will be needed to enable Gen 2 microgrids. The future of microgrids remains bright. Cost-cutting efforts are driving the cost per new connection down to roughly $500 in some markets, making microgrid capital expenditures lower than most grid connections in urban and peri-urban markets. Improvements in remote management software and battery technology will continue to drive down these costs. Technological limits of solar home systems—they can’t boil water—and cost constraints on grid expansion, lead back to microgrids as the most viable solution in rural areas. Looking forward a decade, it’s easy to envision microgrids providing charging for cheap electric motorbikes and Tier 4-5 energy access for irrigation and water systems. As microgrids evolve, the questions are how to continue driving down capex costs to an acceptable level per connection, and how to increase demand and average revenue per customer? What types of customers and communities should be targeted, and what policies are needed to deploy microgrids and ensure their seamless integration into the grid? 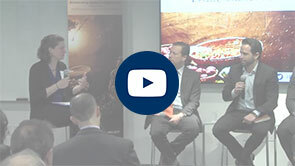 Refrigeration can be a profit driver for small businesses. Clean water and irrigation systems can be profit drivers for entire communities. Incorporating these types of productive use applications in microgrid and rural electrification strategies can underpin village-level demand, improve the economics of rural electrification, create jobs, foster entrepreneurialism, and spur broad development. Although many home solar system providers offer credit platforms to enable their customers to finance appliances or even receive student loans, that customer-focused approach is just now starting to spill over into microgrid development. As some begin to consider this approach, the questions are how to most effectively increase demand and improve livelihoods and how to best foster local business creation and skill building? These are also questions on which there is relatively limited rigorous academic research, so most current models are highly speculative. But, some research suggests there are few such impacts from electrification alone and that new approaches that bundle electricity with productivity enhancing appliances should therefore be studied. Energy access is foundational to human development. Although the energy access movement has successfully galvanized attention from across the global power spectrum, more constituencies can and should be more deeply engaged. More research is needed to strengthen our understanding of the way in which modern energy access improves education, health, and food security outcomes. The areas where energy access could make marked changes to development trajectories are traditionally data-poor environments. Collaborations between academics and those seeking clear data will facilitate well-suited and relevant planning for communities's energy futures. More research is needed to understand the connection between energy access and climate change. For example, how does an aggressive rollout of China’s Belt and Road Initiative—a potentially powerful driver of coal-fired power generation—affect industrialization, climate, and the fate of the 500 million people projected to lack energy access in Sub-Saharan Africa in 2030? On the other hand, what is the opportunity for super-efficient appliances developed for off-grid markets to generate South-North technology transfer benefits in developed markets that ultimately help solve the climate challenge? In many ways the unregulated off-grid market is a lab for energy system innovation. We’re deploying less than half the $50 billion annual investment needed to achieve universal electricity access in Africa, but perhaps more importantly, deploying the private-sector portion of that investment can be problematic. We lack early-stage concessional capital (well-designed subsidies) to get projects adequately developed, de-risked, and ready for debt investment. More high-risk-appetite capital, such as that epitomized by the US-Africa Clean Energy Financing Initiative, is needed to mobilize the larger pools of money available through private equity funds, development finance institutions, and other investors. Additionally, the financial institutions capable of funneling large tranches of capital into access-challenged markets are not necessarily equipped to deliver the needed funding to recipients. Multilateral development banks (MDBs) are not so adept at getting low-cost capital to the financial intermediaries that can channel it to households and villages interested in developing private sector off-grid solutions. However, the capital volumes demanded—and government interest—are triggering threshold changes within MDB lending practices. Those changes increase MDBs’ capacity to capitalize local banks so that they can be sources of local currency to enable consumers to buy distributed energy solutions. A combination of currency risk and fluctuations, inflated perceived risks of operating in many Sub-Saharan Africa markets, and complicated business models have also driven up the cost of capital for access projects. Ultimately, power provision is a utility-type business that can provide affordable power only to the extent that it has access to utility-like capital, in terms of return-on-investment expectations. That’s currently not the reality for off-grid businesses. In recent decades, universal electrification has been the indispensable ingredient to help China and other nations lift hundreds of millions of people out of poverty. What lessons from their experience can we take for sub-Saharan Africa, and how will its path differ? Subsidies: Rural electrification is costly, and massive state investments have been a consistent variable in the electrification story. Proactive building of demand: The U.S. government partnered with industry to help families in newly electrified American communities purchase appliances and bolster electricity demand. Similar policies remain effective ways to prime the pump. Off-grid technologies and customer-centered, private sector-driven off-grid models: These new developments mean that the government’s role must shift from provider to enabler. Among the questions for the Energy Access Project and others are which interventions by governments and development partners will spur productive use, and how can governments adopt the enabler role with pressures and precedent steering them to the provider role? The Energy Access Project looks forward to diving further into these issues and others in the months ahead. 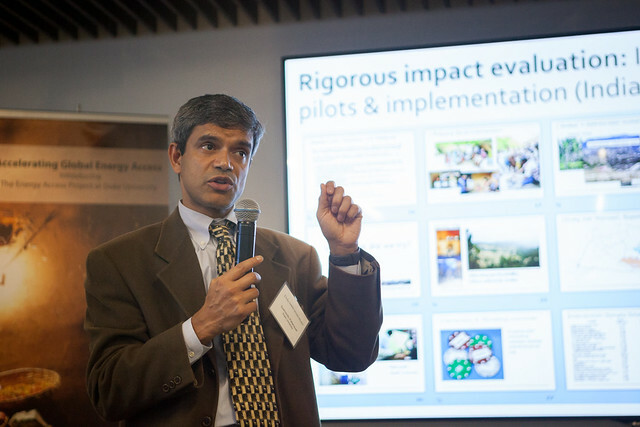 Bringing the full capabilities of the academic community to the energy access challenge will remain a focus of the project, including leveraging North-South research partnerships through the Sustainable Energy Transitions Initiative (SETI). Duke will host the annual SETI conference on campus in May. We will also roll out findings from an ongoing systematic review, which documents what we currently know and don’t know regarding the impacts of electrification and energy transitions. It will to be an essential tool for building the energy access research roadmap to achieving SDG7. Members of the media interested in speaking with Jonathan Phillips should contact Erin McKenzie, erin.mckenzie@duke.edu or 919.613.3652. 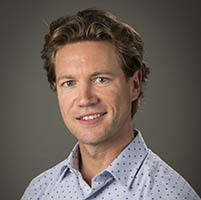 Jonathan Phillips is Director of Duke's Energy Access Project.